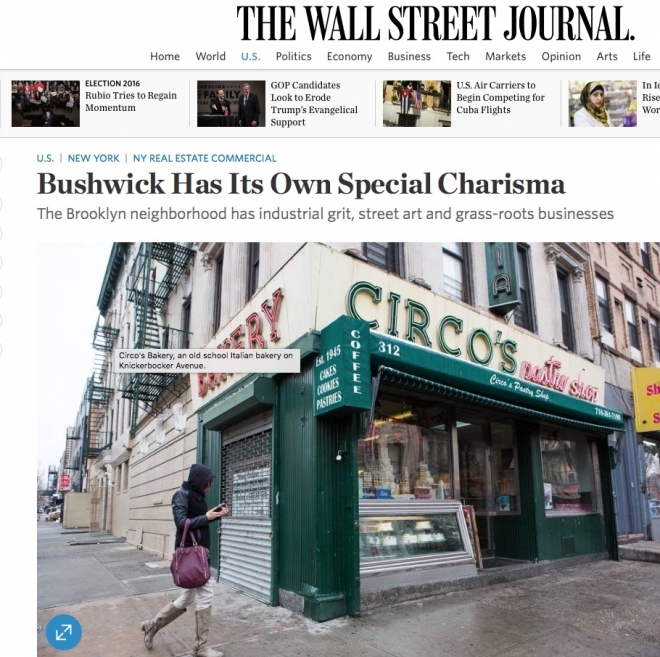 Silas Shabelewska, owner and director of ART 3, a gallery she opened on Ingraham Street in 2014, said she came here by instinct, not knowing that Bushwick would become an established art district. She echoes the reasons many business owners choose to put up shingles here—from Massimo LoBugilo, who opened his yet-to-be-named bakery cafe/bookstore three months ago on Flushing Avenue (“It’s a new concept. I’m still trying to figure it out,” he said), to Darrin Morda and Tom Beaulieu, who in December opened Terra Firma on nearby Ingraham, a restaurant serving Brooklyn-roasted coffee by day and southern brisket by night.